Not much scares you, huh? You don’t sweat the same things that most people do when they’re freaking out about making their first skydive. You roll your eyes when people worry about whether or not the parachute will open. (You know the skydiving safety statistics are very much on your side.) But embarrassment? Well, that does make your breath quicken and your pulse race. 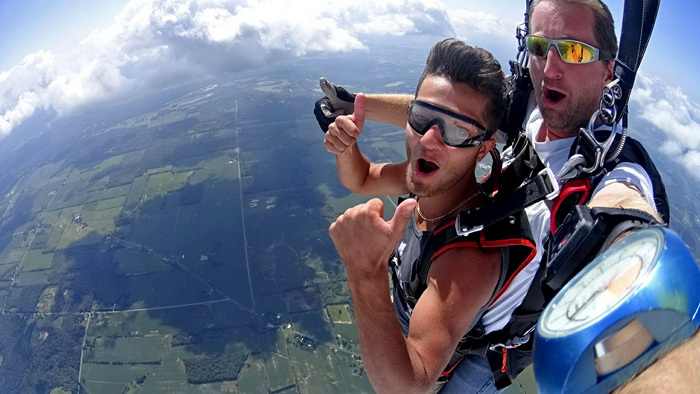 What if you get woozy and start passing out while skydiving? What if you puke? Or scream? What if there’s a really unflattering video that starts making the rounds? Eeeeek! We know you have your dignity – and we have your back. Since we get these questions more often than you’d think, we’ve decided to give you the definitive guide to keeping your $#!t together in the sky. With our help, you’re gonna make this look good! Like we said: It’s rare. 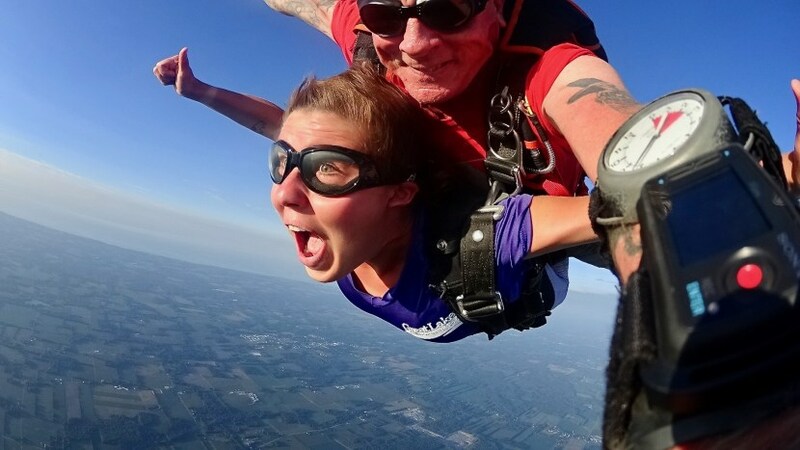 If you avoid those four mistakes, passing out while skydiving is almost unheard of. Basically: You got this. Guess what? If you avoid the same exact four mistakes, you’re almost certainly not going to puke either! We told you this’d be easy. That said: Some people are somehow more susceptible to motion sickness than others. If you already know that motion sickness is a thing that happens to you, you can be pretty certain that the dynamics of small-aircraft flight and full-on freefall will get those juices flowin’ – but you also know what to do to help yourself fight the feeling. The solution is to pre-medicate yourself just as you do when you’re getting on a boat or a long, windy ride in a car. That way, you’ll be comfortable and confident when the spinny moment arrives. Now that you know you won’t be droopy or leaky on your jump, you can worry about the important stuff: How to make that skydiving video look like a million bucks! Here’s the weird part: It requires you to HOLLER. This is how you make your skydiving video look good! Don’t let that self-conscious hangup get in the way. Let that scream out! There’s nothing undignified about letting out a giant scream as you get out of the plane. Not only does screaming help to fully relieve the anticipation you’ve been building up – it gets the oxygen moving through your system. Screaming like you’ve never screamed before will light up your face and give you a photogenic glow throughout your skydive, so let ‘er rip! We hope this quick how-to guide helped you if you’re worried about passing out while skydiving or throwing up. We’re here to help you dodge those mistakes, face your fears, and make a life-changing, inspiring, world-class first-time skydive. See you soon!